A new pattern and chance to win! Are you looking for a new pattern to try? It can be easy to keep doing the same one or same couple over and over again. So, I was pretty excited to see that The Crochet Crowd is hosting a Valentine Heart Scarf Challenge this month. They’ve shared a new scarf pattern, and we can create the scarf, follow their guidelines, and send them a photo to enter for a chance to win a bag of yarn. 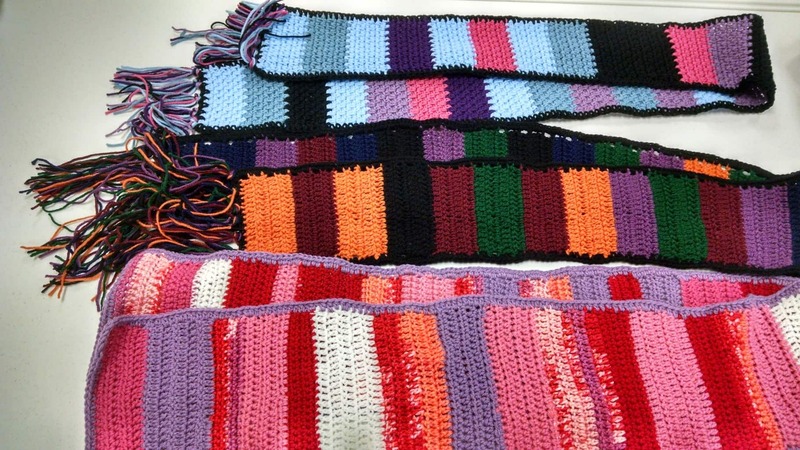 This seems like a great opportunity to try something new and create a cool scarf to donate as well as possibly win a prize. Lots of possible good from one scarf! When the challenge is over they’ll draw 5 random winners, who knows, one of us could win. If you decide to give it a try we’d love to see pictures of your finished project. You can post them on our Facebook page, or bring them to our March Work Day.